Look for the sign to find your way in. If the Blind Bear is Cronulla's new kid on the gritty hospitality scene, then Croydon Lane Wine and Tapas Bar is its alter ego. That's not to infer that there is any pretentiousness in the ambience, in fact far from it. It's simply that the demographic is a half generation further along the "maturity" track and the look has a wine bar's less earthy edges. 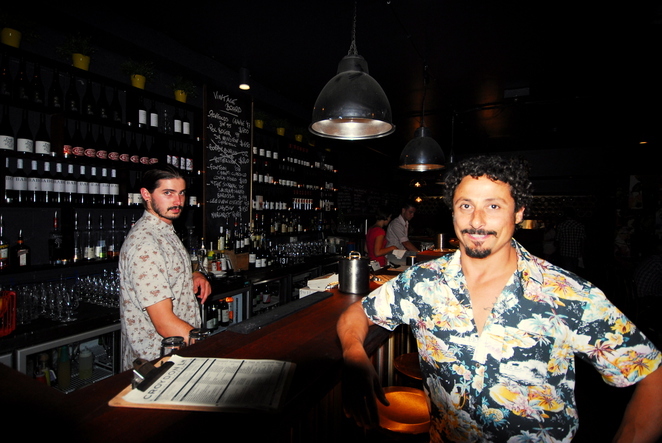 Owner John Rechichi is a stalwart restaurateur in Cronulla. He's been, gone and is now back with his newest venture, a venture proving a slick hit. The staff from John down are welcoming and the smiles are unforced. The decor inside is understated, on the cusp of informal and groovy. The tiny courtyard boasts furniture trendily asymmetric and the feel screams relaxed. Relaxed enough that you can follow the Cronulla dress code law of the land – smart casual will complete the transition from beach to bar. The meat and potatoes of course are the food and beverage. John has lured head chef George Sideris from the galley of Glass in Sydney's Hilton. 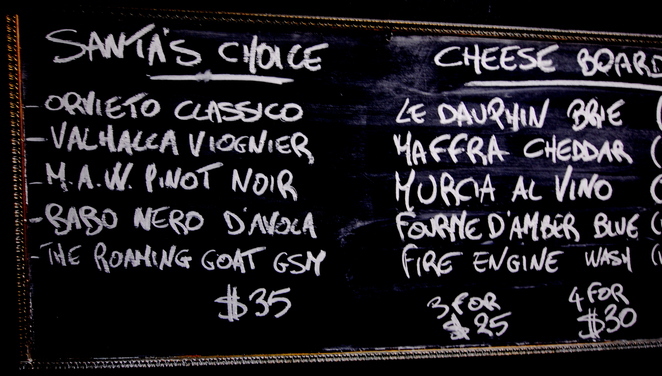 As the name of the establishment suggests, George's menu centres on Mediterranean tapas. John – Italian, George – Greek, Tapas – Spanish. There's a heady Med combo. The tapas themselves are a little more generous in size than most and they are heavy with modern Oz twists – zucchini flowers or seasonal fish ceviche please. Wash those down with any one of dozens of wines from the list and life can be very forgiving at times. It's those wines that equally define the bar and the international flavour kicks on. I tried a ruthlessly smooth Malbec from Mendoza Argentina while the wife remained patriotic with a typically crisp Clare Valley Riesling. If you aren't sure, have a quiet word in the ear of John. He's an oracle on what will complement your tapas of choice. Croydon Lane Wine and Tapas Bar is another addition flying the banner for a revamped Cronulla social scene. A lounge bar setting that doesn't try too hard to be chic but is anyway. Your biggest worry for the night will be finding it. Ignore the name, Croydon Street is at the rear. Then ignore the actual address, 30 The Kingsway. The premises are actually in Cronulla St Mall. Face the Banyan Tree Thai Restaurant near The Kingsway then look left – yep, its behind that innocuous looking wall with the Croydon Lane sign. 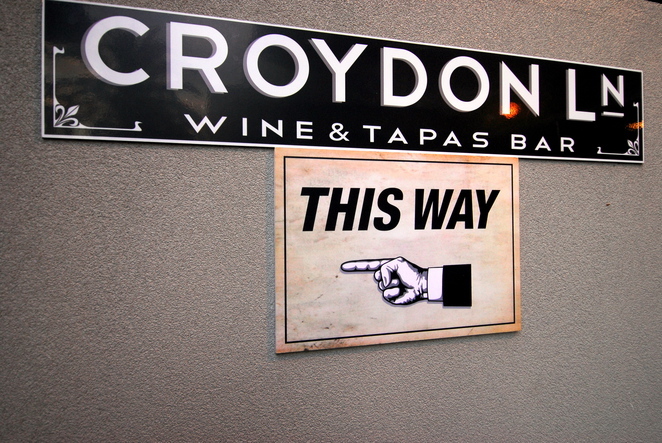 Follow your taste buds through the gate then while away a couple of hedonistic hours. Cost: Nibbles from a few dollars stretching up to around $30 for the top of the main courses. 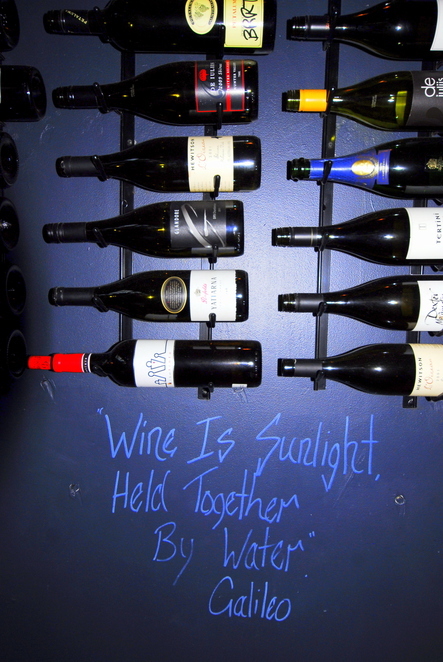 Wines begin at around $8 a glass to plenty for you top shelf bottle indulgence.